Governor Gboyega Oyetola of Osun State has reiterated his commitment to the state’s development, saying nothing would hinder him from providing dividends of democracy to citizens. He said this, yesterday, while addressing members of the ruling All Progressives Congress (APC), led by the party’s chairman, Prince Gboyega Famodun, who came on solidarity visit, following Friday’s verdict given by the Election Petition Tribunal. The tribunal had declared Senator Ademola Adeleke of the Peoples Democratic Party (PDP) winner of the September 22, 2018 governorship election. 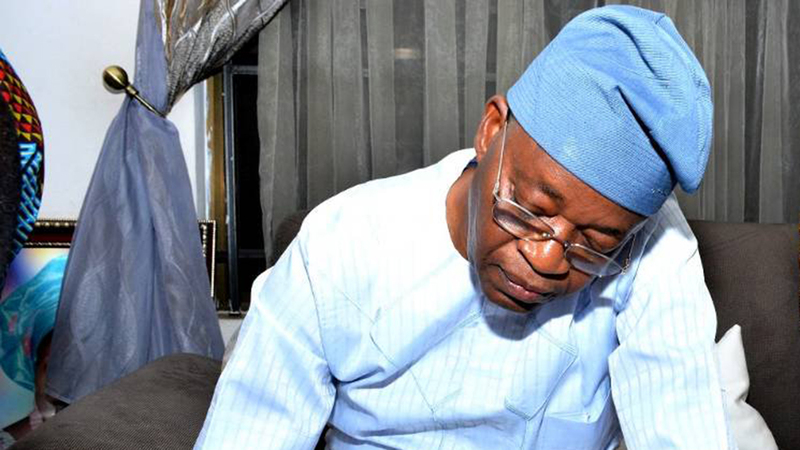 Oyetola described the judgment as a “split judgment of two out of one,” saying with God on his side, he would emerge victorious. Meanwhile, Oyetola said since the Constitution allows him to file an appeal against the judgment, he remained the legitimate governor of the state. He said this, yesterday, while inspecting some on-going road and drainage projects in Osogbo, the state capital, noting that the outcome of the lower court didn’t in any way affect validity of votes freely and willingly given him by people of the state.